At Iowa Casino & Poker Rentals, our mission is to provide our clients with a flawless casino experience. As a full service, all-inclusive casino event provider, we offer the equipment and staff necessary to ensure the smooth operation of your next casino event or casino party. Our selection of casino grade equipment and our professional, energetic casino dealers are guaranteed to fully engage and entertain your guests in a unique and memorable fashion. We offer the very best casino equipment in the Midwest, as our casino tables and accessories mirror those used in Las Vegas casinos. Our full selection of casino-grade tables are of exceptional quality, made with wooden bases, double-padded, all leather armrests, and wool felts. We pride ourselves on our superb quality, and all our casino tables are replaced on a 3-month rotational basis. Another differentiating factor is our unbeatable customer service. 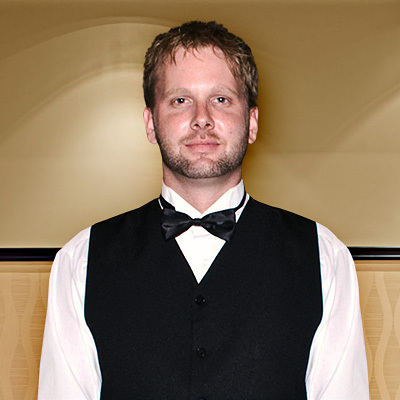 Our trained customer service professionals will work with you to plan all aspects of your casino event, ensuring that no detail is overlooked. Feel free to call or e-mail us with any questions you might have. Our professional, energetic, interactive and personable casino dealers pride themselves on making sure that all guests are involved and entertained.